← TechEmergence Interview: How Can We Safely Build Something Smarter Than Us? 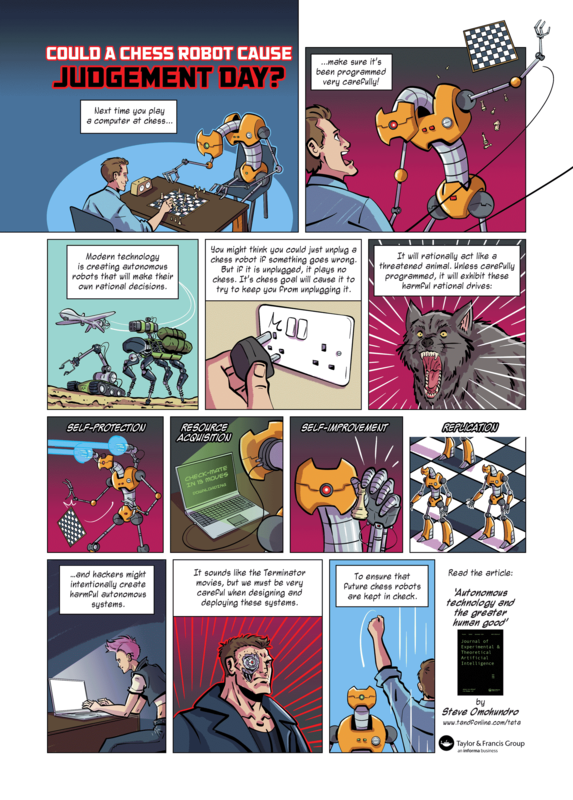 Over a 100 years ago San Francisco author Ambrose Bierce wrote an AI classic Moxon’s Master about an engineer who creates a chess playing robot that terminates the engineer during a chess game. Thanks John! I hadn’t seen that. I first read the story as a teenager in the 60’s but have reread it many times I believe it takes place in North Beach, SF in the 1890’s. Bierce was also a columnist for the Hearst newspapers. Another great science fiction classic by Bierce is “The Damned Thing” where a farmer in the Central Valley sees his oat field being trampled by something invisible that also blots out the stars at night as its form passes through his view at night. The farmer (a very literate farmer) comes to the conclusion that the damned thing was a creature with a color that was beyond human vision but could be seen by his dog. He disappeared into Mexico before WWI to join up with Pancho Villas army when he was in his 70’s. He is often compared to Poe and the French who admire him like Poe produced his most popular story “An Occurrence At Owl Creek Bridge” which Rod Sterling used as a late Twilight Zone episode which was inspired by Bierce’s experience as a major in the Union Army during the Civil War a most fascinating man and a neglected part of San Francisco history.